Solid gold vintage Universal Geneve Chronograph. Using in-house Universal Geneve cal 285 movement. Uni-Compax model. 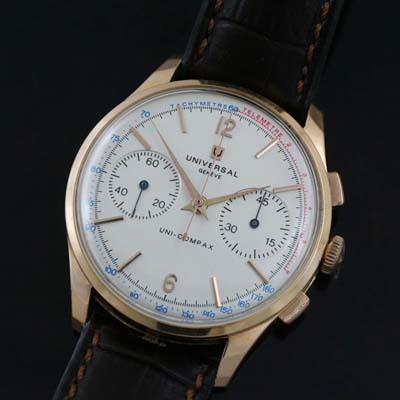 A beautiful oversized vintage Universal Geneve Uni-Compax Chronograph dating to the 1950’s. This solid gold chronograph was produced by one of the first companies to produce the wrist chronograph. 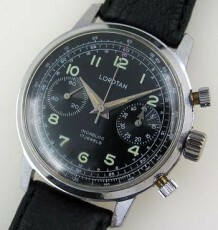 The Uni-Compax is part of a line of “Compax” or Chronograph watches that date back to the 1940’s. This particular model is crafted in gold 18K pink gold and is fully hallmarked with the Universal Geneve seal and Cotes de Geneve inside the caseback. The 17 jewel Universal Geneve calibre 285 movement functions flawlessly. 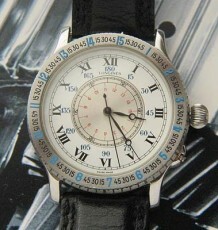 The tri-colour dial is a recent restoration and was done to bring the dial back to its original appearance. 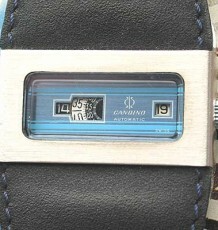 Note the dial has a raised pink gold stick hour markers as well as the raised Universal logo. 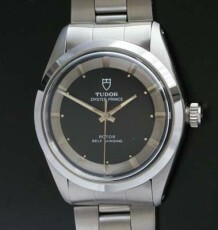 The watch case measures a larger than typical 37.5 mm wide by 45 mm long.